Life is mad and hectic here at Chez Bishop - I'm still adjusting to life with two children and a very busy freelance career... my feet aren't touching the ground right now, but I'm hoping for a little more balance once Bert starts part-time pre-school in mid September. Hopefully normal service will resume here on the blog once I'm in a bit more of a routine and get better at managing my time. I'd like to get to a point where I feel like I'm covering all the bases well, instead of just about managing to keep the balls in the air, which is how I feel at the moment!! 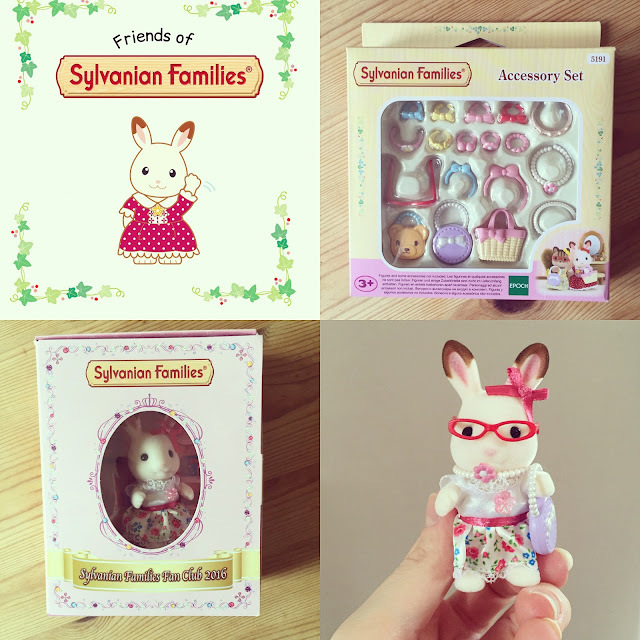 I wanted to share a gorgeous little package we received from our favourite toy brand Sylvanian Families. Bert was sent Freya Rabbit from the Chocolate Rabbit family, after she's been on a special shopping trip. This figure is an exclusive collectors figure which is sent to all members of the Sylvanian Families Fan Club. Freya Chocolate has been invited to a party at the Walnut Squirrel Family's house. She wanted to look her best so she went on a lovely shopping trip to the village boutique. 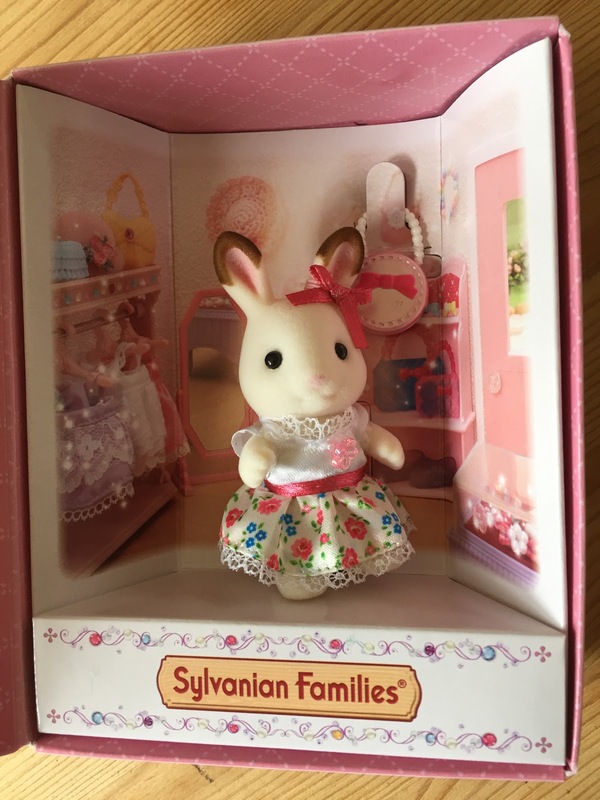 Freya purchased a wonderful outfit to wear - a beautiful flower-patterned dress with a flower brooch. She also got some pretty earrings and a pink handbag to match perfectly with her dress. Freya is now all ready for the party! As well as his new Freya, Bert was sent this fabulous Accessory Kit - full to bursting with bags, jewellery, hairbands and even some snazzy glasses for his ever-expanding Sylvanian collection. 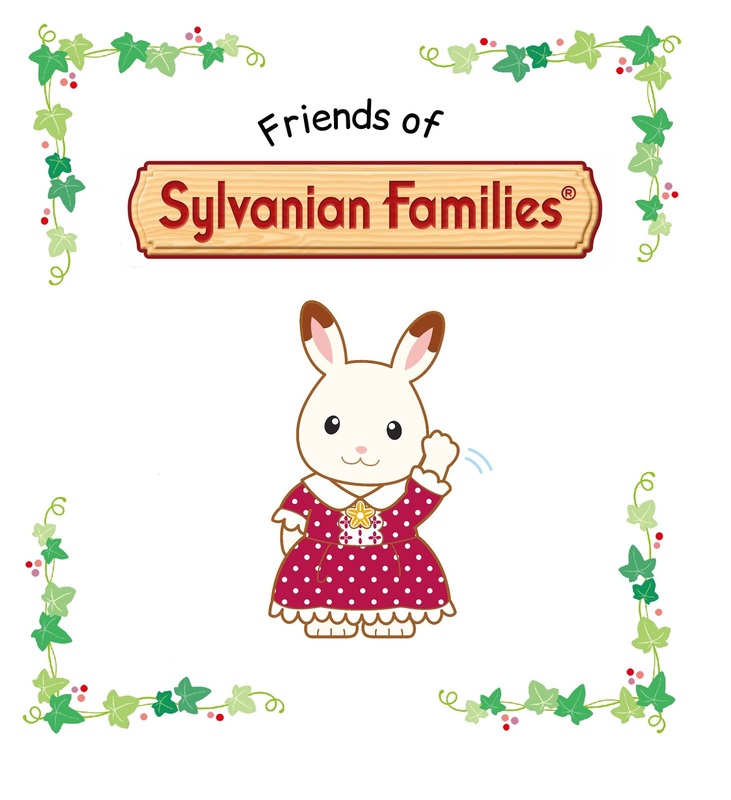 Bert is a huge fan of imaginative play - and one of his favourite things to do is play with his Sylvanian collection and his dolls house. So of course, he had a field-day when he was let loose on his figures with oodles of accessories. He had a go at styling Freya all by himself, and I think he did a grand job! 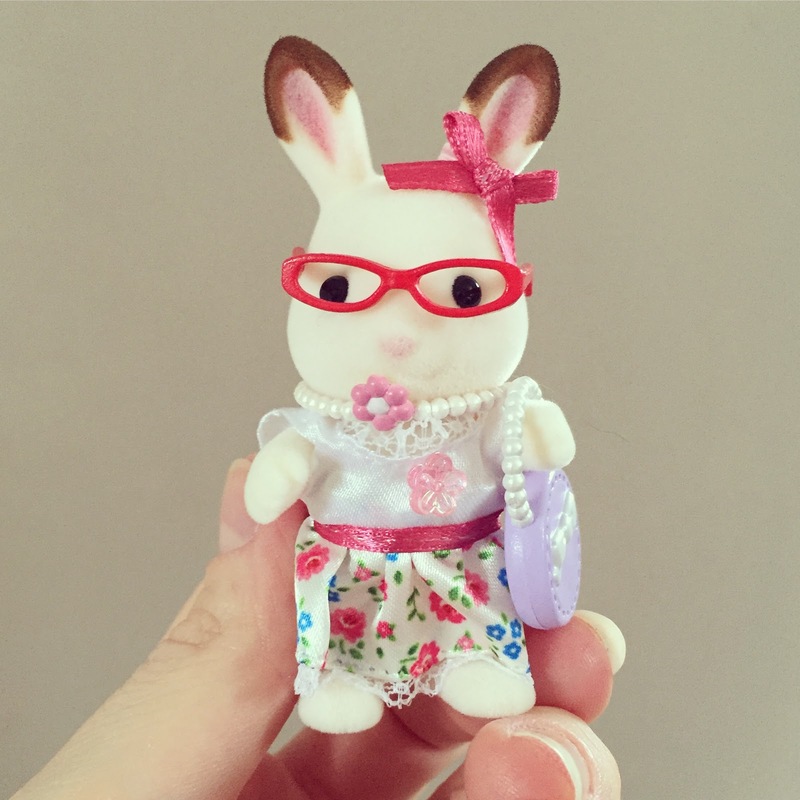 Freya Rabbit - complete with floral dress, handbag, necklace, flower brooch, hair bow and funky red glasses! 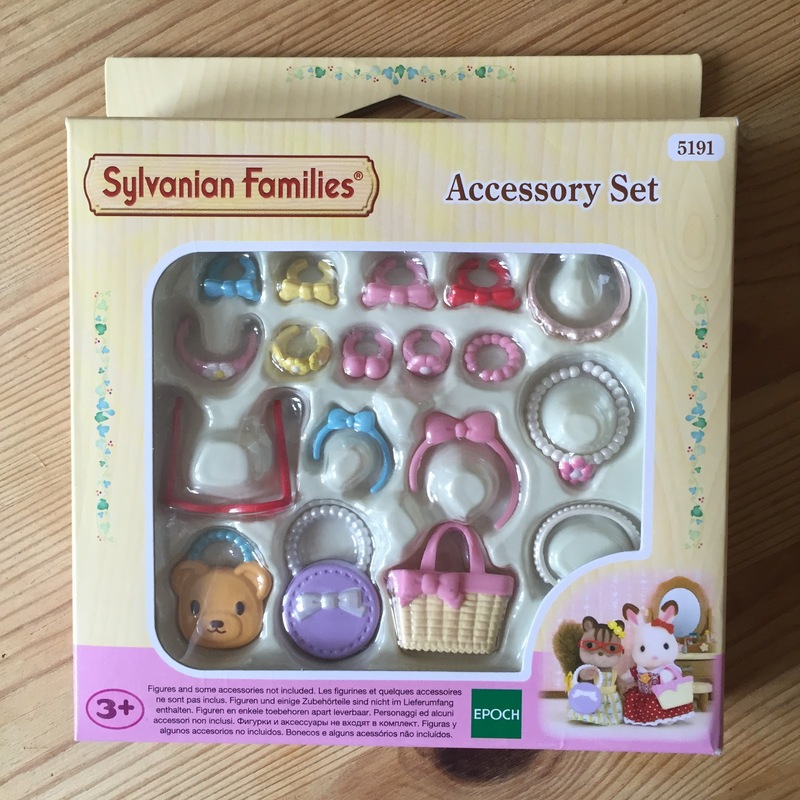 If your little one has a budding Sylvanian collection like Bert, then this little accessory kit is a brilliant gift idea at just £6.99 - I hate to mention the 'C' word, but it would make an ace stocking filler too!